Surprise! 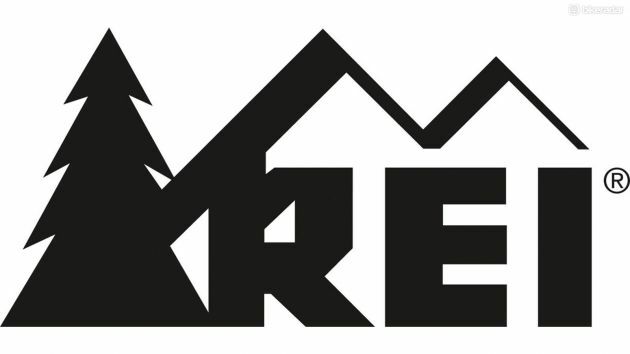 Check out the REI booth at the Renegade Craft fair this weekend in NYC! My work is featured in their current zine issue 'Force of Nature' 🗡also in stores now! I'm thrilled to invite you to the opening of BETWEEN THE WALLS, at Tillou Fine Art in Brooklyn, a group exhibition of 9 female artists curated by myself and Michelle Tillou. The exhibition explores the intimate spaces we live in and the kinetic energy we leave behind. Join us for the opening preview Saturday Oct. 20th from 4:00-7:00pm! DATES: August 25th- September 22nd **Exhibition extended to Oct. 20th! I'm excited to share the opening of my solo show, NIGHT FORTRESS, at Kirk Hopper Fine Art in Dallas TX. If you are in Dallas, come out to the show opening Saturday, August 25th! My newest series, Night Fortress, depict haunted-house looking fortresses and female warriors that draw on medieval art, folk stories and quilting traditions. I’m interested in how fear is intimately linked with our sense of ‘home,' safety and origin stories. The paintings depict chained citadels, a cross between castles, crime scenes and haunted houses. These structures are story-book like and act as metaphors for fear and our often haunted past. I’m interested in storytelling and draw on a variety of folk stories, symbols and biblical illusions including the Tower of Babel, Judith and Holofernes, Bluebeard, and tarot. In particular, the show explores traditions forged by women and their influence on communal histories especially in the form of quilting. As quilts took time to make, were often created in social groups, and were passed down to family members both as objects and techniques, they have a particular resonance with the establishment of home and tradition. Many of the paintings in this series include quilt-like borders to represent homemaking, healing, and protection. For more information or a complete image list, feel free to contact me or Kirk Hopper Fine Art, images will also be forthcoming on my website. 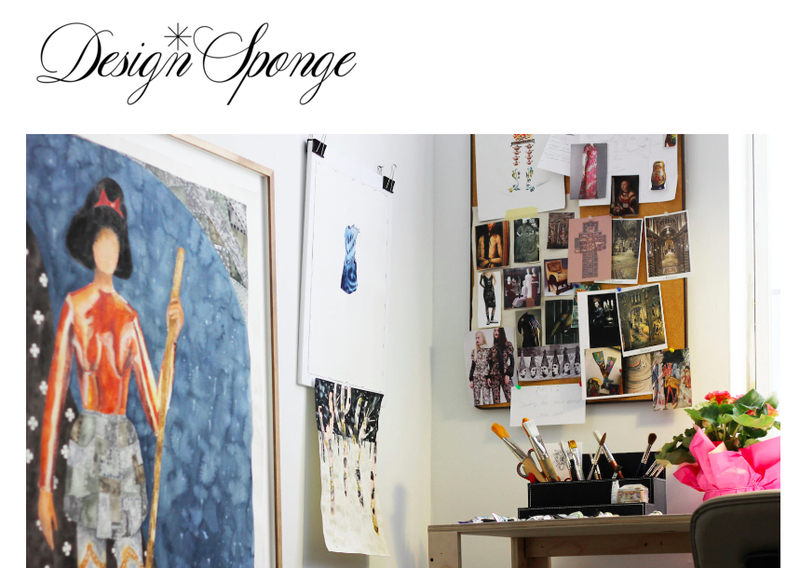 Trilled to be featured on one of favorite blogs Design* Sponge! Check out my interview and studio tour with Kelli Kehler. Many thanks DS! I am thrilled to be participating in 'The First Ages', a group exhibition at SPRING/BREAK Art Show curated by Julia Oldham and Chad Stayrook of Really Large Numbers. The show opens Tuesday night and runs through Monday, March 12th. Come by and see this amazing exhibition! I am thrilled to be participating in The Other Art Fair at the Brooklyn Expo this month. The Other Art Fair (November 9-12, Brooklyn) will mark the twenty-second edition of the fair. Exhibiting artists above- Carlyn Janus, Evan Paul English, Mikka Stiegler and myself were selected to take part in this edition’s marketing campaign. If you are interested in attending and would like a free pass email me! Many thanks to New York Magazine's THE CUT for this wonderful write-up and slide-show of my solo show BLOOD BANNER! Come check out my newest work in person during the Gowanus Open Studios, Oct. 21-22 from 12:00-6:00pm. Admittedly my studio is a little north of Gowanus but still walk-able! I'm on Joan Bankemper's Top Ten List of studios to visit along with Brooklyn Based's list. Thanks guys! Looking forward to participating in this Halloween themed group show curated by Fran Holstrom of Neesh! Show opens Friday Oct. 27th at Aquarius, 1116-A Wyckoff Avenue, Queens. Check it out! It's a feminist take over of The Whitney Biennial! I could not be more thrilled to be participating in 2017 WHITNEY HOUSTON BIENNIAL: GREATEST LOVE OF ALL curated by C. Finley. The show opens Sunday, March 19th, 4-8pm exhibited by Chashama at XOCO, 325 West Broadway, New York, NY. Come check it out! Amazing press for the NASTY WOMEN exhibition at the Knockdown Center. Check out my work featured with AM New York and Expose Magazine! Also amazing write ups on the show with Fox News, The Huffington Post, New York Magazine, Artnews, HyperAllergic and countless others. Go nasty ladies!! I love Arte Fuse! Many thanks to writer Jennifer Wolf for this review of BLOOD BANNER. Excited to share this Houston edition of Paper City featuring my work! The Throwback Artists: Two Texas Mega Talents From Small Towns Shatter Expectations With Oft-Dismissed Skills- many thanks Catherine D. Anspon! BLOOD BANNER- NYC SOLO SHOW REVIEWS & PICS! Excited to share these photos from my first NYC solo show with Lazy Susan Gallery. Many thanks to all who came out and those who supported from afar! The TEXAS CHUPACABRA! Freshly minted painting for an amazing exhibition called Monsters in America at One Mile Gallery. The show will also eventually be turned into a children's illustrated book and travel to the Museum of Cryptozoology in Portland, ME. Also a great write up with the Almanac Weekly! Please join me in celebrating the opening of BLOOD BANNER, a new solo show of my work organized by Lazy Susan Gallery and Jill Connor of AS | Artists Studios. The work in BLOOD BANNER combines images of demons and warriors with both tragic and victorious figures. Inspired by the myth of the labyrinth, medieval iconography, babushkas, breakfast foods, and the story of Judith and Holofernes- the work in this series explores the beasts that are external as well as the ones that reside within. Show Dates: Saturday, July 16th - Saturday, July 30th.